Curated by Marina Pugliese, Barbara Ferriani and Vicente Todolí / 21 September 2017 – 25 February 2018. 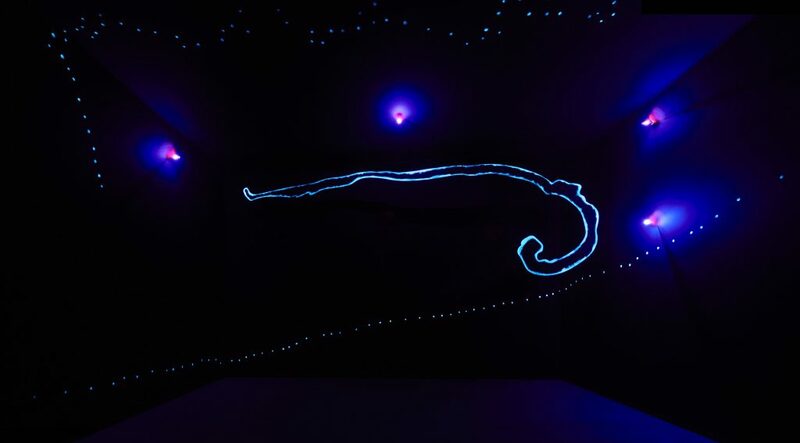 In collaboration with Fondazione Lucio Fontana. 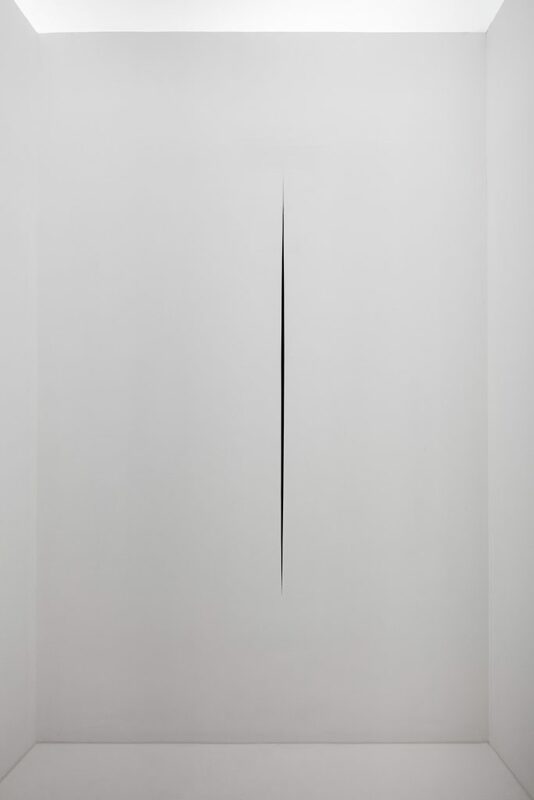 Fontana’s “Spatial Environments” are considered the most innovative outcome of the theories about space that Lucio Fontana first expressed in his Manifiesto Blanco of 1946. Here and in later manifestos, he described a new form of visual representation linked to space and time, which would move past the classic materials of sculpture and painting and employ modern technology to create “artificial forms, rainbows of wonder, words written in light” (Lucio Fontana, Spaziali, 1947 in Lucio Fontana, Manifesti scritti interviste, edited by Angela Sanna, Milan, 2015). These ideas led to the birth of Spatialism, an artistic movement that emerged in Argentina and Italia in the late ’40s. Fontana, its founder and prime representative, applied them in famous works such as his Concetti Spaziali (Spatial Concepts, like his “Holes” and “Cuts”), but above all in his environments, the body of work he considered the most innovative and experimental. 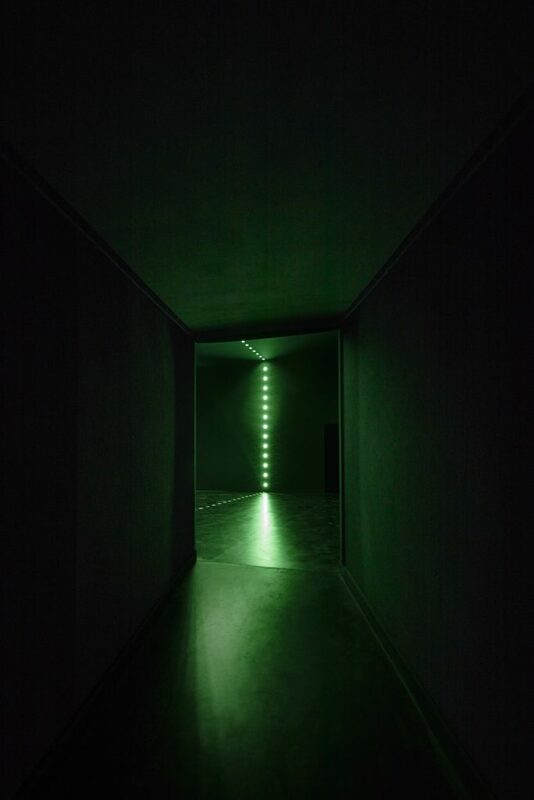 Within a low-light setting, the exhibition presents a series Fontana’s Spatial Environments, independent rooms specifically designed by the artist. 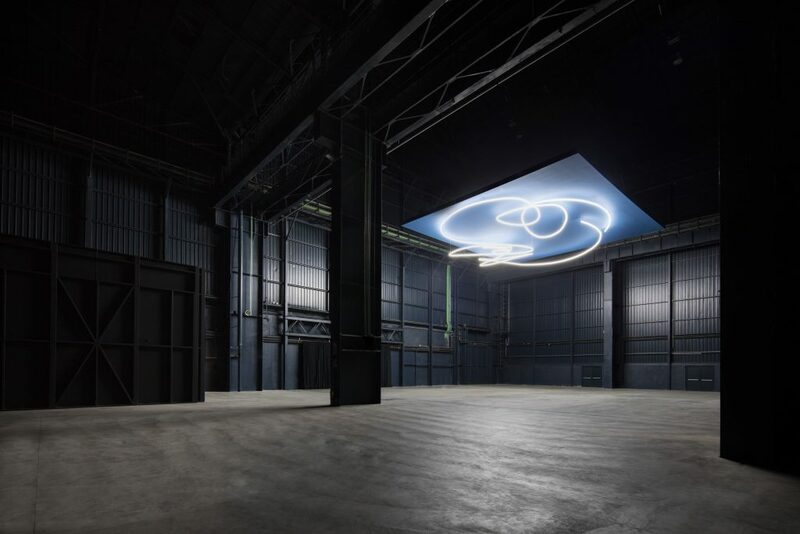 This layout, a new and unusual one for Pirelli HangarBicocca’s vast Navate space, allows the public to discover the installations one at a time. As visitors move through and linger within them, they gain a full sense of their groundbreaking significance: the amazing iconic and aesthetic power that makes these works so innovative even today. “Ambienti/Environments” opens with the environmental interventions Struttura al neon per la IX Triennale di Milano (Neon Structure for the 9th Milan Triennale, 1951), which Fontana conceived as a decorative element for the 9th Milan Triennale. 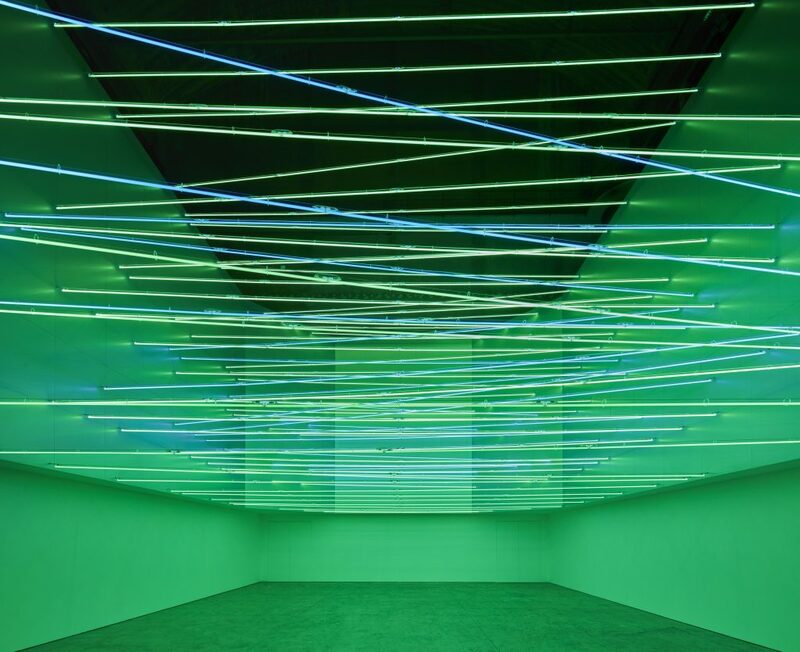 This vast arabesque, made up by hundred-meters-long neon tubes, hangs at the entrance to the exhibition space, ushering visitors into the series of environments, displayed in chronological order. 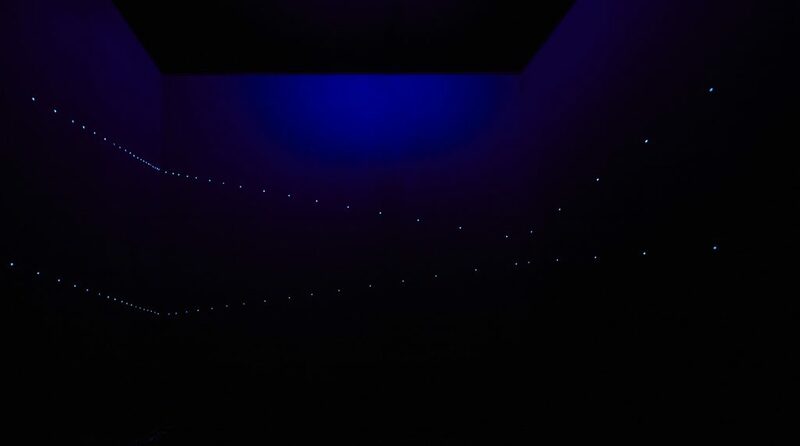 They start with the first one the artist made, Ambiente spaziale a luce nera (Spatial Environment in Black Light, 1948-1949), presented at Milan’s Galleria del Naviglio in 1949. 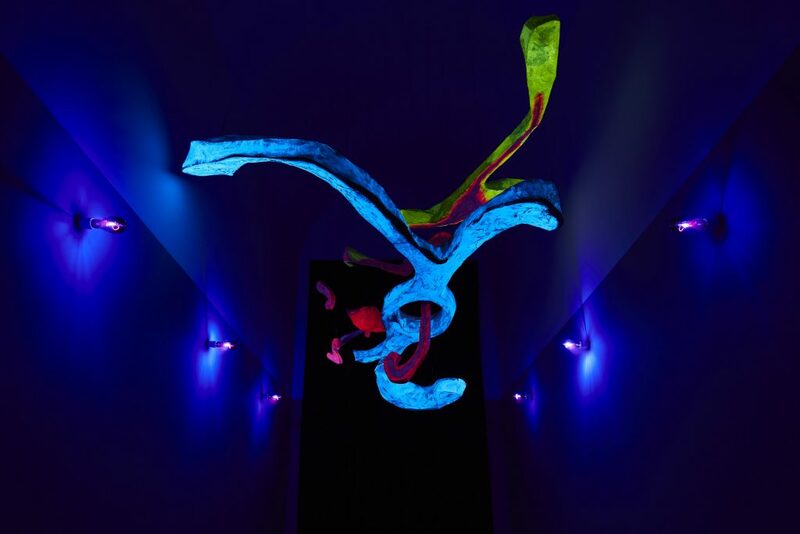 It is a dark room lit by an ultraviolet lamp; suspended at the center is an abstract sculpture painted with fluorescent colors. This work—a model that Fontana returned to in many later environments, retaining but developing on its basic characteristics—marks a move past the very notion of painting and sculpture. 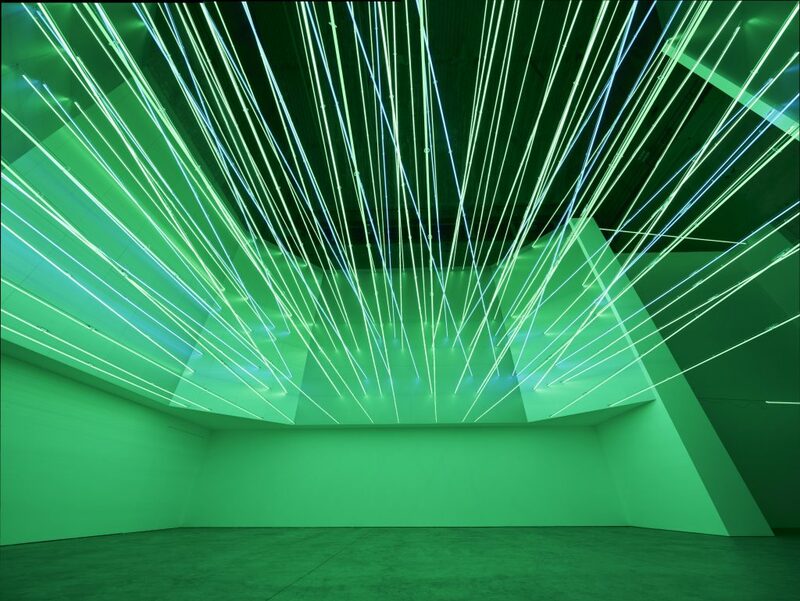 The surrounding space and the presence of the viewer became key elements: “the all-black room, the black light, with the fluorescent paint giving that sense of emptiness—a feeling, a material that the public had never experienced before (Lucio Fontana in Autoritratto, Carla Lonzi, Bari, 1969). The 1949 first “Spatial Environment” was too innovative to be widely understood and Fontana tried to repeat the experiment to no extent for a decade. He had to wait till the beginning of the sixties and, for the 13th Milan Triennale in 1964, created two corridors, Utopie (Utopias), made in collaboration with artist and architect Nanda Vigo. 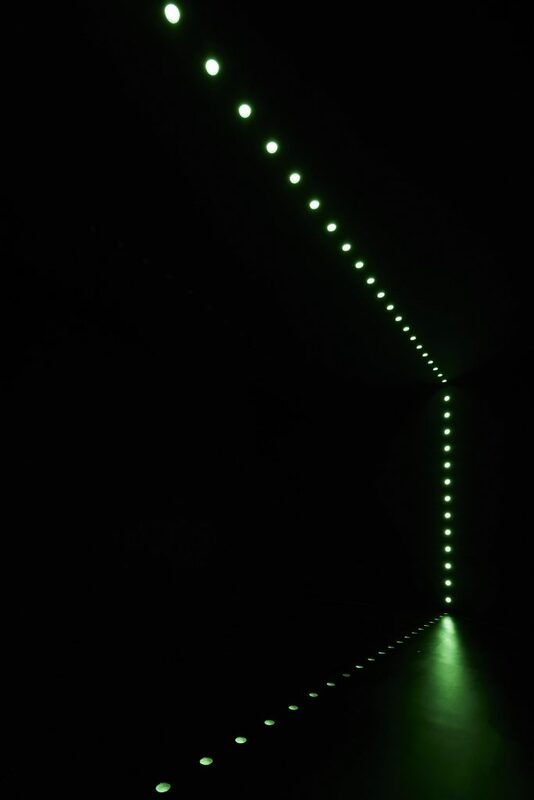 One is black, with a curved wall and green neon light filtering through a series of holes. 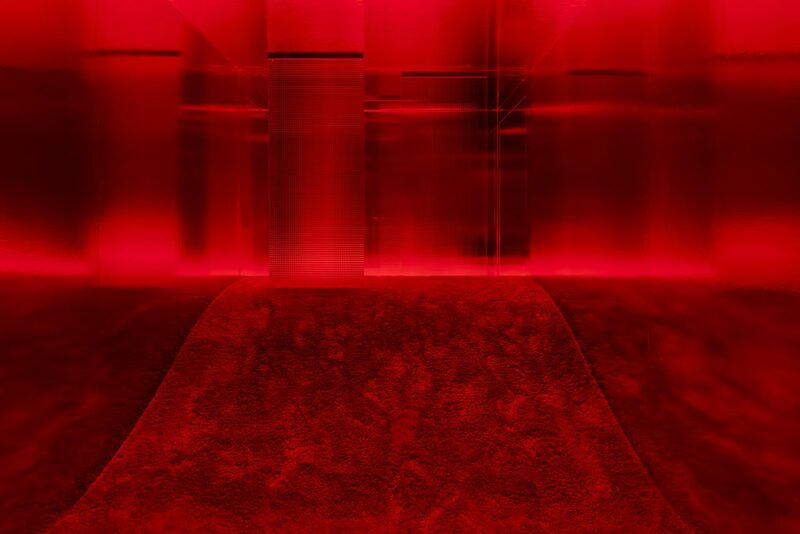 The other, reconstructed here for the first time, has metallic red upholstery covering the walls and ceiling, textured glass panels, and red neon. These two works begin to foreground the perceptual experience of the visitor, an aspect that Fontana also focused on in an installation for his first and only large-scale solo show at an American museum, the Walker Art Center in Minneapolis, in 1966. To enter this Ambiente spaziale (Spatial Environment), reconstructed here at Pirelli HangarBicocca for the first time, visitors must walk through a lowered tunnel with a slanted floor. 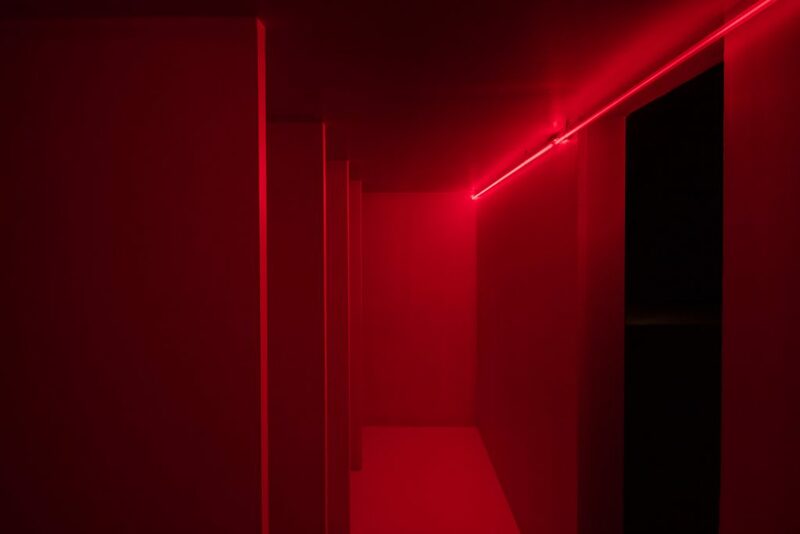 At the end is a room with neon light shining through its perforated walls, and an unstable floor made of soft rubber. 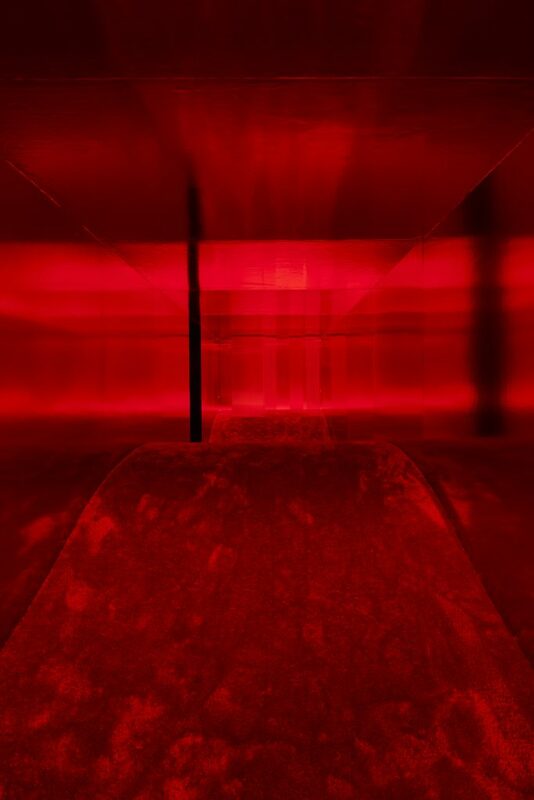 While all the black environments continue to develop on the concept of Ambiente spaziale a luce nera, using optical tricks and darkness to disorient the viewer, others employ maze-like designs and colored neons to alter the space and viewing experience. 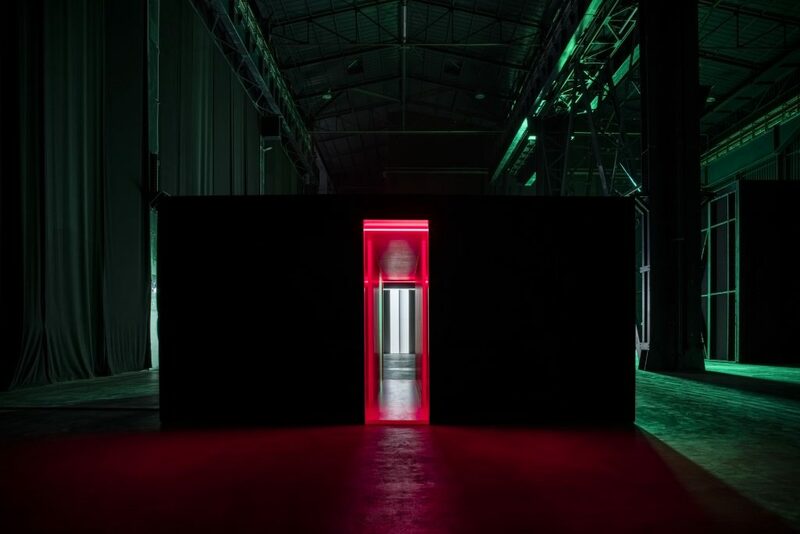 The next three Spatial Environments: Ambiente spaziale (Spatial Environment), Ambiente spaziale con neon (Spatial Environment with Neon), Ambiente spaziale a luce rossa (Spatial Environment with Red Light), all reconstructed for the first time at Pirelli HangarBicocca, were originally conceived for the European tour of the American solo show and presented in 1967 at the Stedelijk Museum in Amsterdam and later at the Van Abbemuseum in Eindhoven. In Ambiente spaziale Fontana re-introduced a sculptural element, as he did for the 1949 Ambiente spaziale a luce nera, characterised by a pop aesthetic, fluorescent paint and reflections of black lights on the surface. 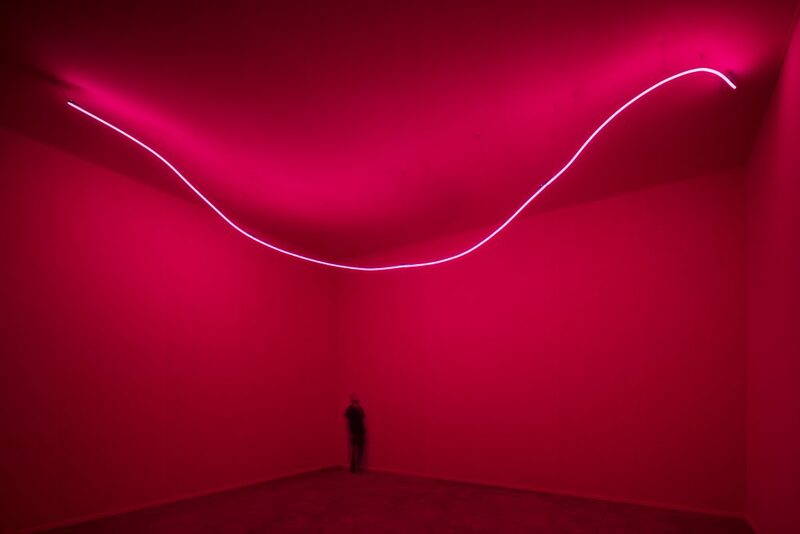 Ambiente spaziale con neon had a single red bent neon hanging from the ceiling in a room covered with pink fabric. 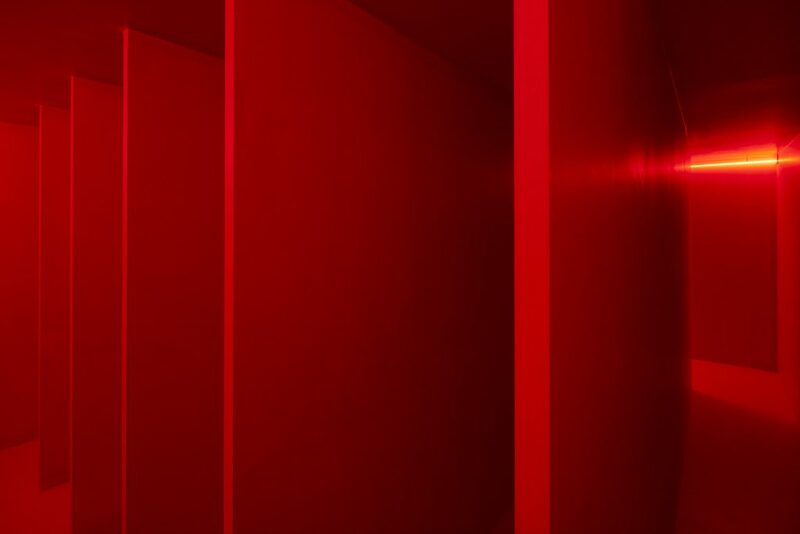 Ambiente spaziale a luce rossa, was structured as a red maze-like space with a series of corridors with fosforescent colors and neon lights. Straight after, visitors walk through Ambiente spaziale (Spatial Environment), conceived for the exhibition “Lo spazio dell’immagine” at Palazzo Trinci in Foligno the same year. The last environment, conceived in 1968: Ambiente spaziale in Documenta 4, in Kassel (Spatial Environment in Documenta 4, in Kassel) has been installed at the end of the chronological sequence in the Navate, since it dates from the year of the artist’s death. 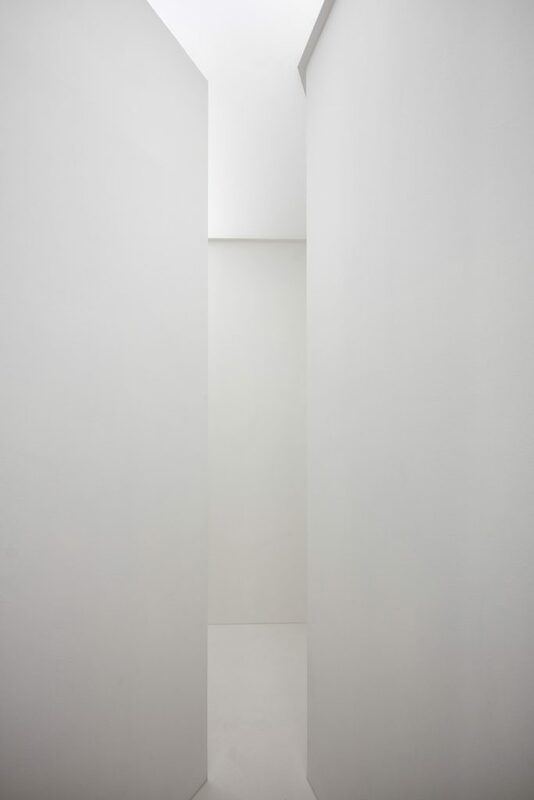 This work takes the form of a white maze leading to a large slit in the wall. While echoing his “Cuts,” it also shows he has somehow moved past them: from the canvas, into space itself. The exhibition winds up in the Cubo space with the second environmental intervention Fonti di energia, soffitto di neon per “Italia 61”, a Torino (Energy Sources, Neon Ceiling for “Italia 61” in Turin) a monumental work made from seven levels of colored neon tubes, which Fontana designed for the Energy pavilion at the celebration for the centenary of the Unity of Italy in Turin in 1961. This environmental work foreshadowed American and European investigations of the viewing experience and the relationship between object and space. The catalog published by Mousse in conjunction with the show presents the most up-to-date research into Fontana’s environments. Alongside an extensive selection of images, it features essays by Luca Massimo Barbero, Paolo Campiglio, Enrico Crispolti, Barbara Ferriani, Jennifer Josten, Orietta Lanzarini, Marina Pugliese, Anne Rana, Giovanni Rubino and Maria Villa. 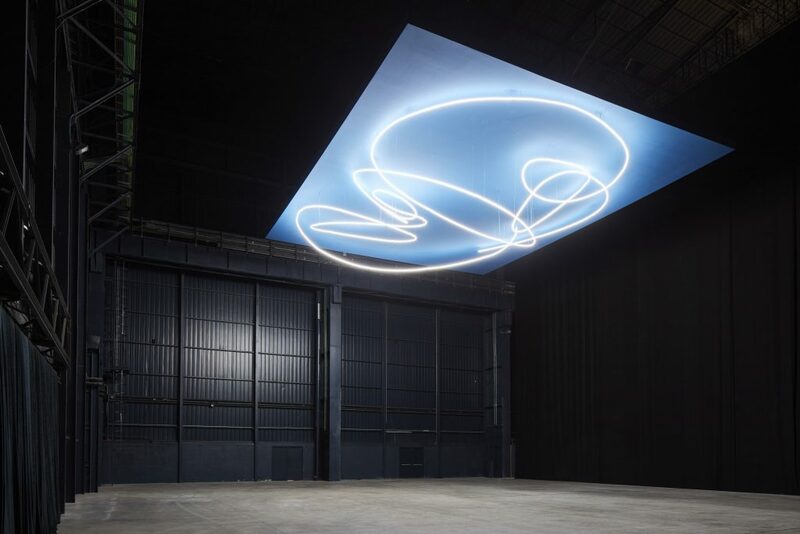 Curated by: Marina Pugliese, Barbara Ferriani and Vicente Todolí in collaboration with Fondazione Lucio Fontana. HangarBicocca, Milan, 2017. Courtesy Pirelli HangarBicocca, Milan. 2017. Courtesy Pirelli HangarBicocca, Milan. 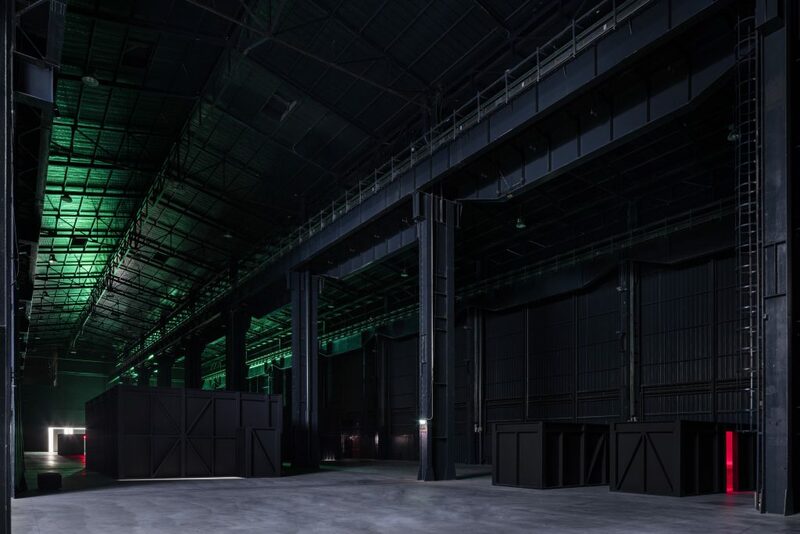 dell’installazione in Pirelli HangarBicocca, Milano, 2017. Courtesy Pirelli HangarBicocca, Milano. installation view at Pirelli HangarBicocca, Milan, 2017. Courtesy Pirelli HangarBicocca, Milan.